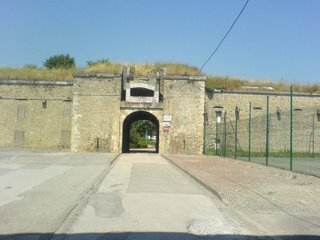 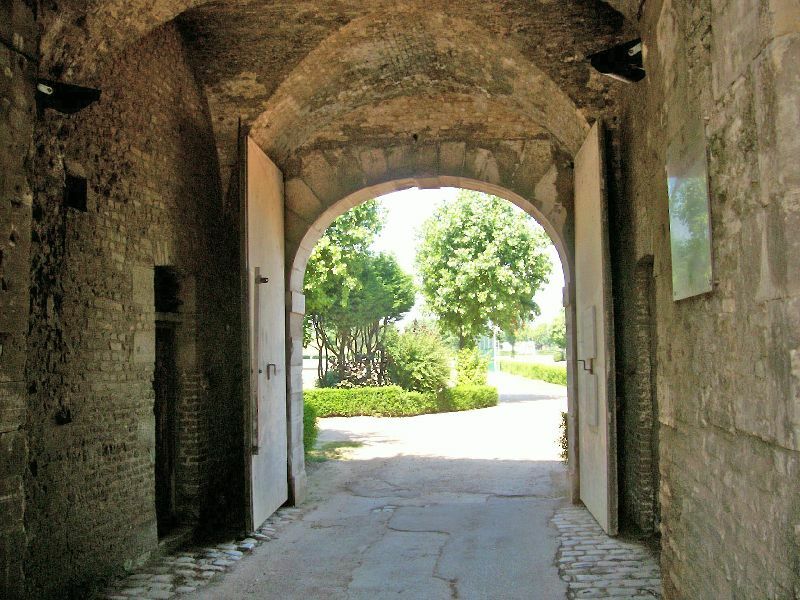 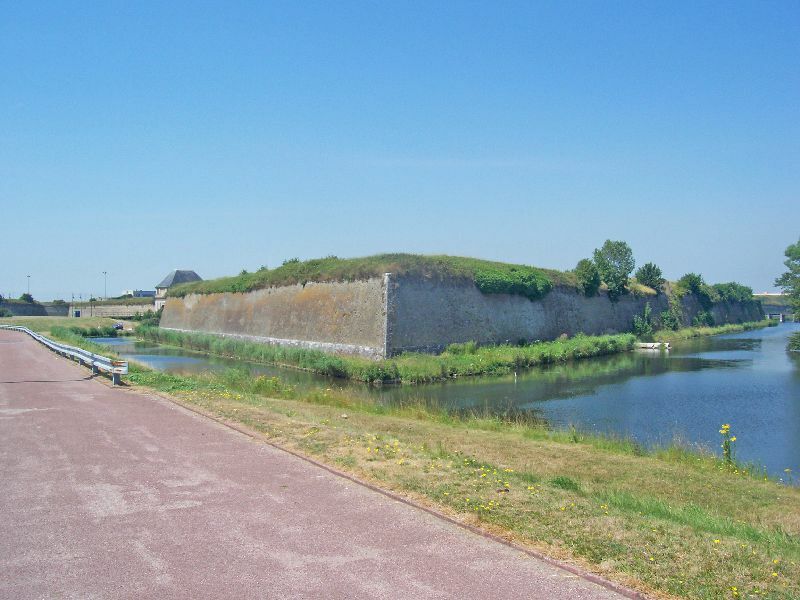 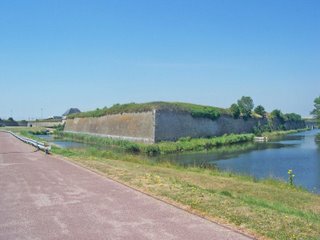 Calais Citadel dominates the area West of the town, between Fort Risban and Fort Nieully. 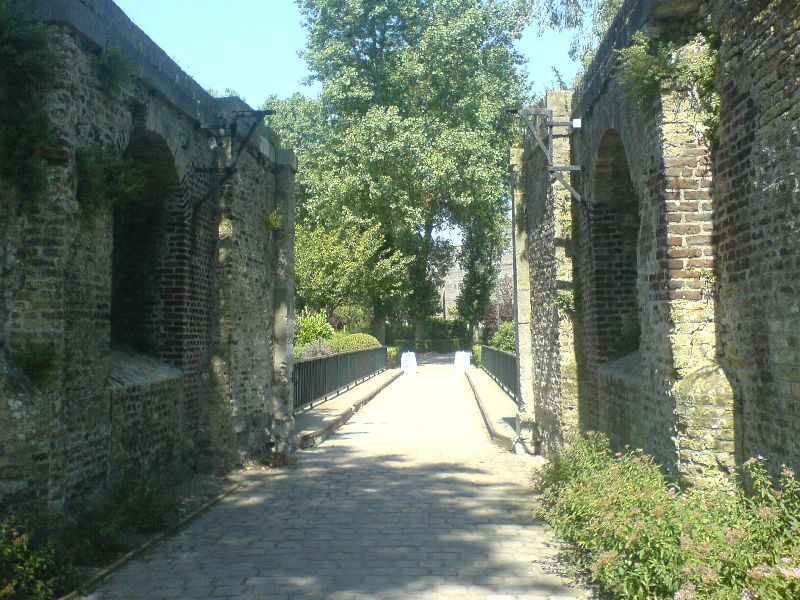 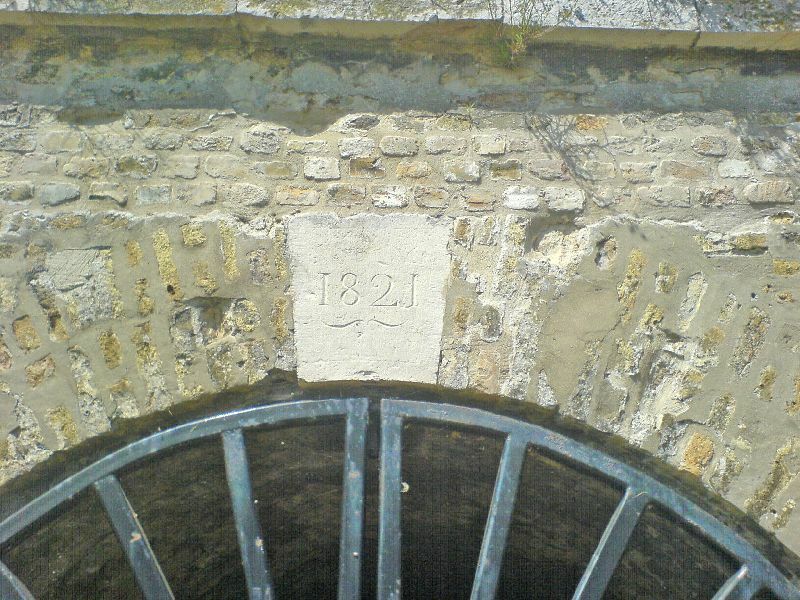 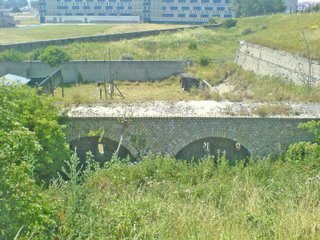 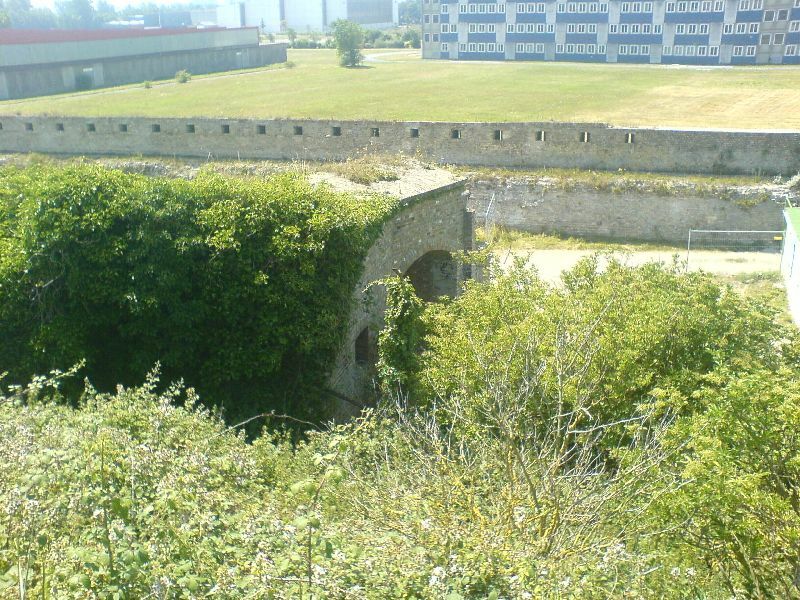 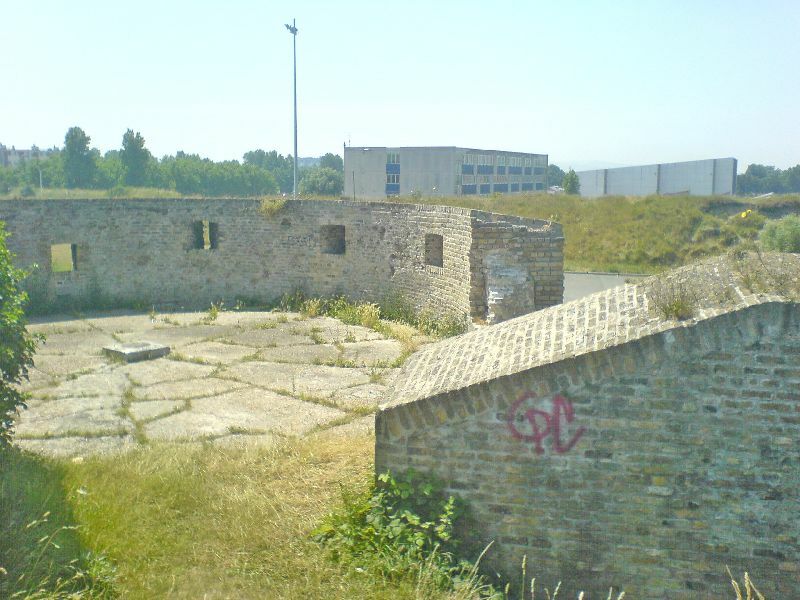 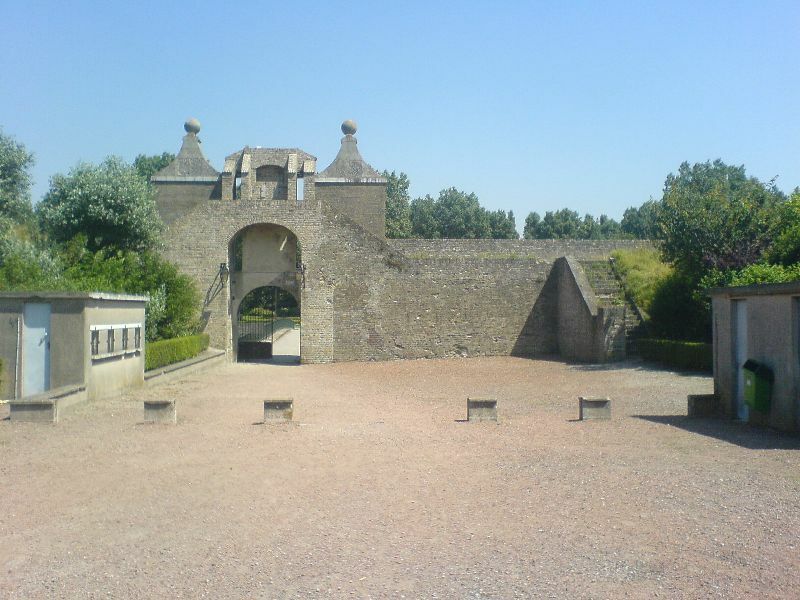 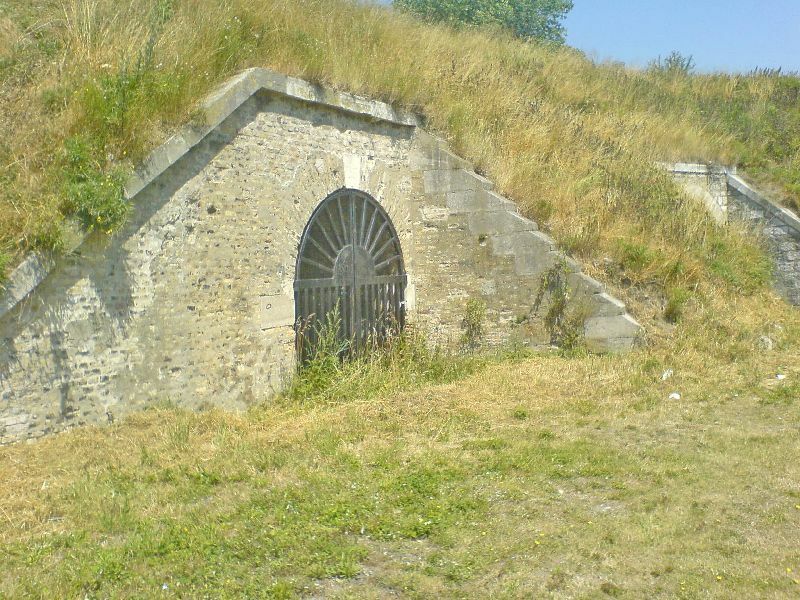 It dates back to the 16th Century, but has undergone many alterations in its long history, the majority of which were those implemented by the French military engineer Vauban. 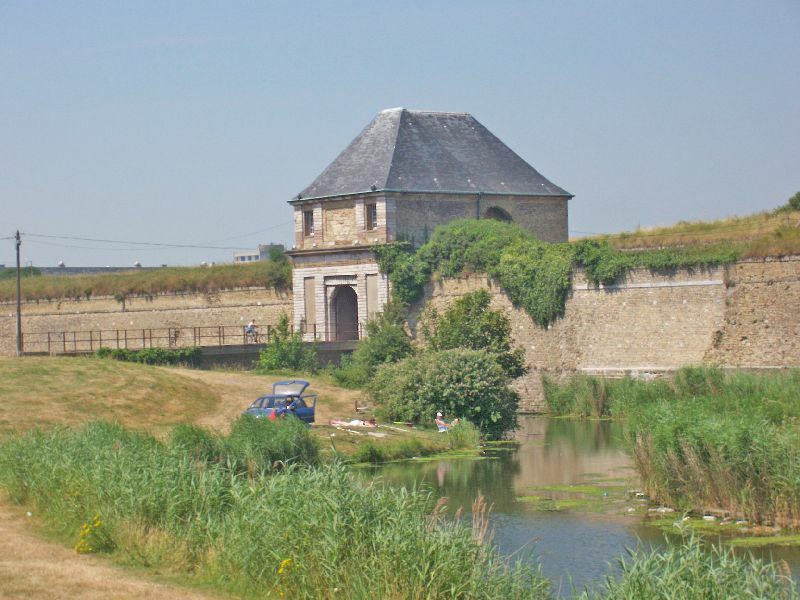 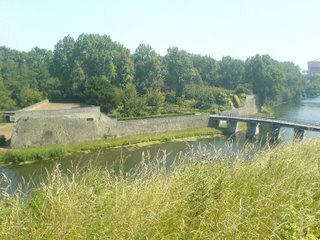 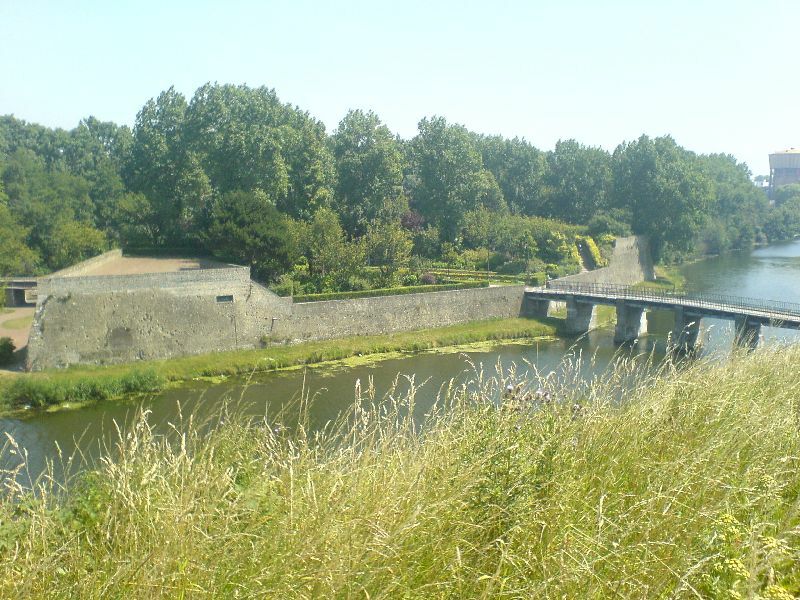 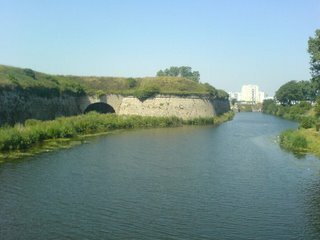 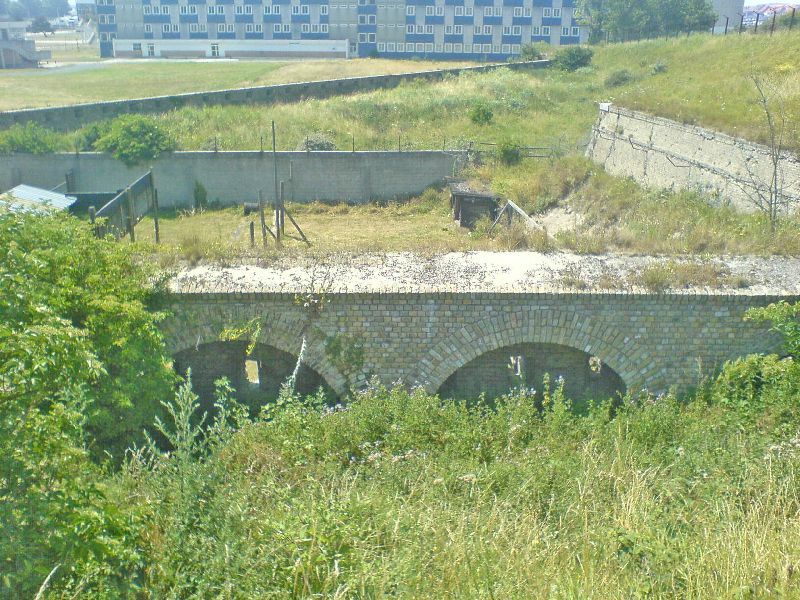 The large angular fort is surrounded by a water filled moat, which is crossed by two bridges leading to the East and West gates into the fort. 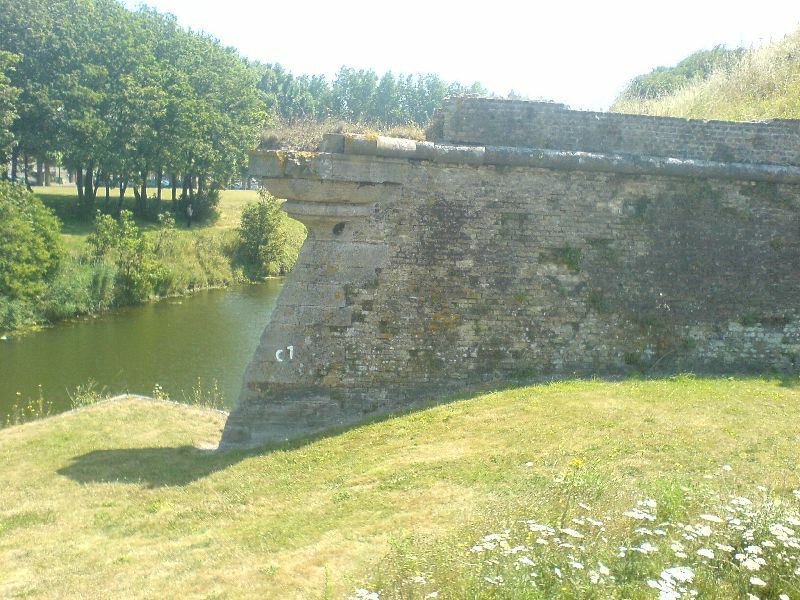 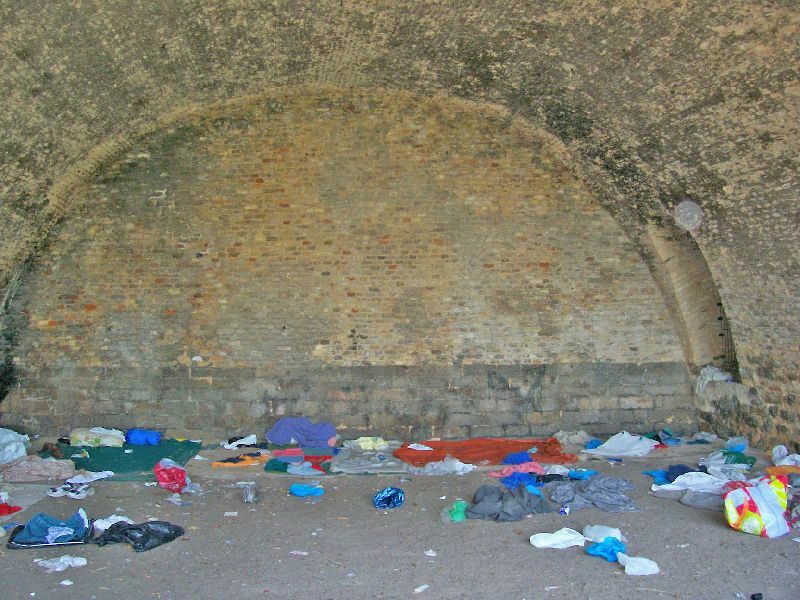 A Demi-Lune triangular outwork is located in front of one of these bridges. 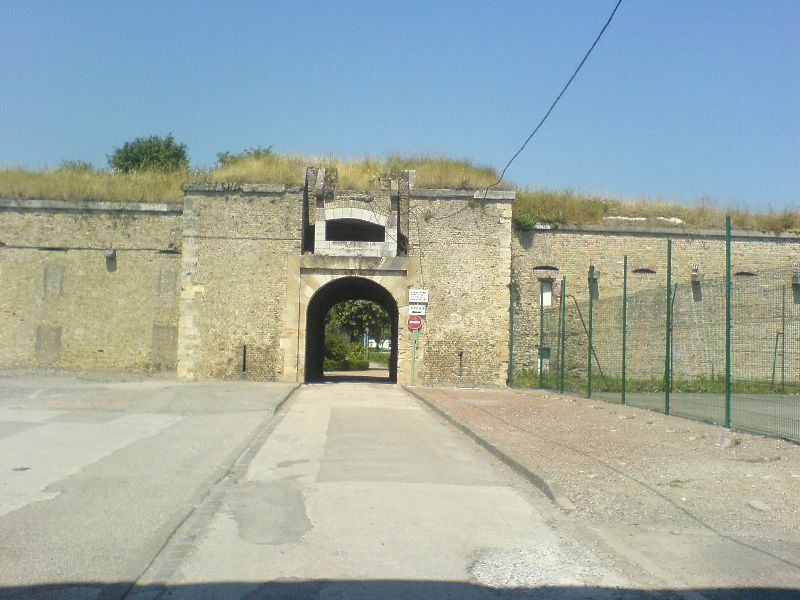 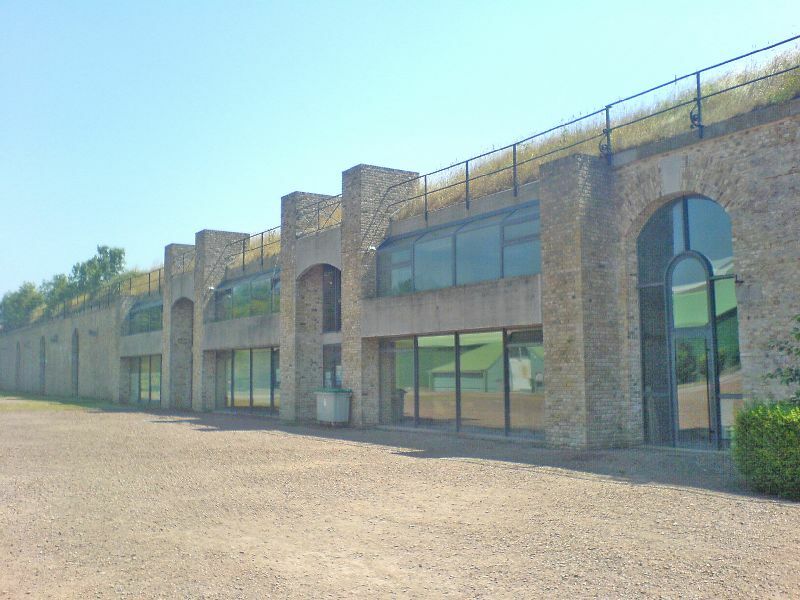 The original buildings in the centre of the Citadel were destroyed during WW2 and the area has now been converted into a sports stadium. Fortunately, many of the original features around the edges have survived including the ornate guardhouses and gateways. 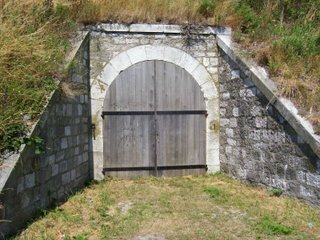 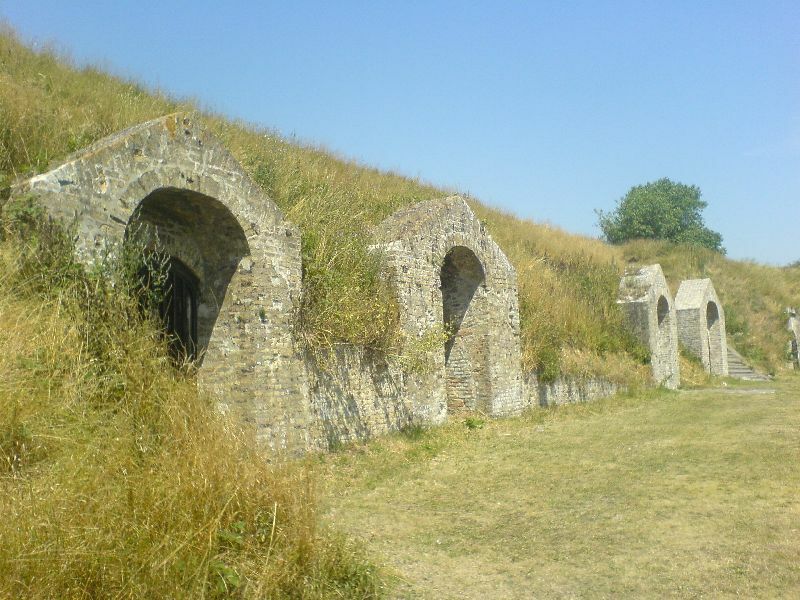 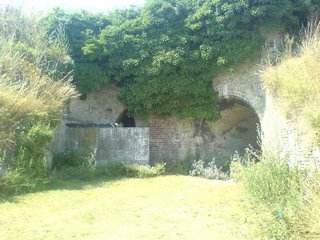 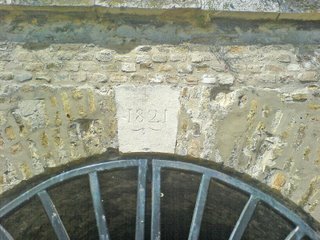 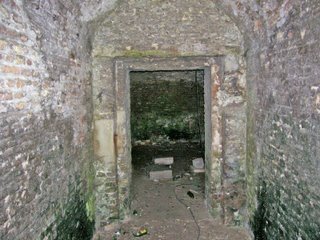 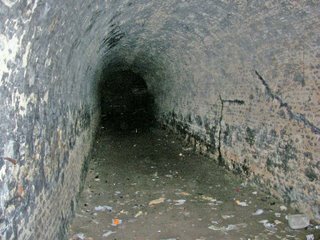 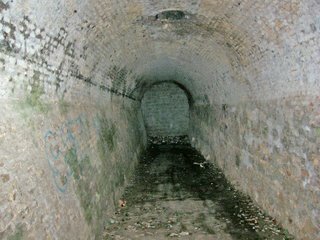 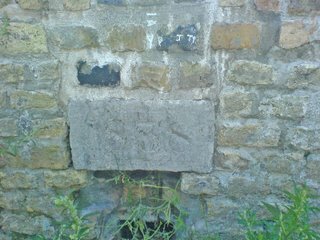 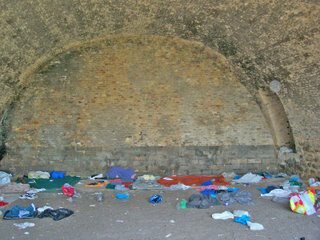 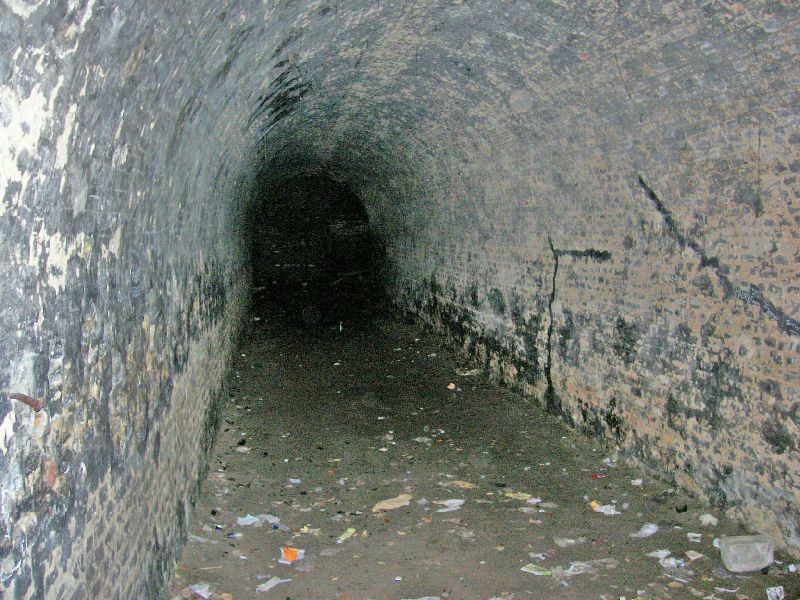 Some tunnels and underground magazines also exist within the fort. 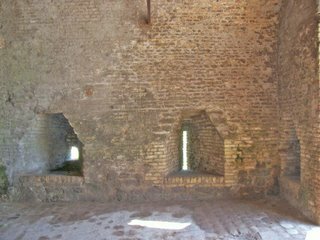 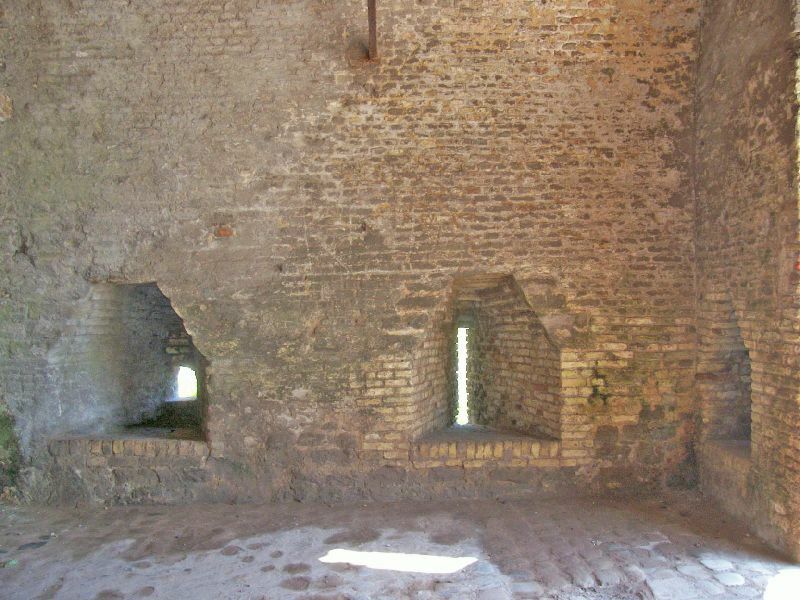 The entire fort is open to the public at no cost and is an interesting place to stroll around. The Citadel is open free of charge everyday.